This blog is one I am really excited to write. I have been really enjoying mentoring some of my assistant coaches recently. Like all things in life there are challenges to every business. I recruit a lot of part-time S&C coaches, who at some point will often move on to a full-time job unless I can offer them one first!!! But while they are with me I do everything I can to assist in their development. Lately I’ve been on the shoulders of a few coaches more than usual as I am seeing if they can step up from assistant to a lead role- or whether I need to bring in some more ‘talent’ who are perhaps more ready to take the lead. So what are the ingredients I am looking for from a great coach? Obviously a big part of this is the Quality of the Session Plans- it’s the ‘what you coach.’ I can help here by providing session plans. But there is also the Quality of the Delivery- it’s the ‘how you coach it.’ A big part of my role is challenging my team by role modelling some of the behaviours that I want to see in my coaches in terms of how they engage the children with their communication. I thought I would share some of the learnings here and I’ll address both topics in this post! For those of you in a rush and just want me to get to the punch line, well I can summarise that playing games with kids is one of the main ways we can easily create a fun learning environment. It can be a bit of a crutch for a less experienced coach who is still finding their voice! Let the games be the coach! I often think about this and want to start with some thoughts of mine. Let me start by setting the scene. Youth Training is one of my passions. I think practitioners like Rhodri Lloyd have done great work to pave the way for new understandings of the training process and long-term athlete development (LTAD) principles. But coach mentoring is my absolute favourite thing to do. If there was such a thing as long-term coach development (LTCD) what types of skills would we expect to respond greater to training at certain times in a coaches development? Is there an argument that coaches respond better to certain training once they are ’emotionally’ mature? If we think that an athlete goes on a long term development journey to first learn some skills and then train them and then apply them in a competitive match environment, then wouldn’t it make sense that a coach could also need to learn some communication skills and train them, as well as all the book smarts they have to learn vocationally or academically? I don’t always feel many student coaches that I mentor have necessarily learnt as much about how to coach at university as they have about what to coach!!!!!!! Being a business owner I am somewhat like the national coaches of sport conducting talent ID. We know that an evaluation/test is only a snapshot of someone’s ability at a point in time. It may not be a reflection of their potential. There are so many variables at play! Maybe when I interview a coach who has no experience I see something in them and I give them the opportunity to grow with my organisation. But if I know a coach has several years of experience and they don’t create a great environment then perhaps I don’t give them the same opportunity. I need to respect that I am running a business and it has a reputation to protect. I can’t allow coaches opportunity to learn from making too many mistakes resulting in poor feedback on the quality of the sessions from the children and parents. That’s why I have lead coach roles and assistant coaches/interns. But regardless of role they do, they have to show me something that makes me think they will fit in with my company. So what is that ‘something?’ I try to be objective in my assessment so I can give good feedback to coaches who I may or may not give a job to. It also gives me ways to give specific feedback in coach appraisals and mentoring programmes. If the definitions are the behaviours we can see then the values are the deeper aspects of our very core that manifest themselves in our behaviours. These are psycho-emotional and spiritual factors that we want to develop in ourselves and in our athletes in order to help us achieve our highest potential (getting the best out of our talent). It is a balanced approach to developing the PERSON first and the ATHLETE second. I am quite a high energy guy. I like to get my passion across by being quite animated and vocal. I like to be heard and when I am giving feedback I tend to get quite excitable when someone is performing something well (or not performing well). I need to let them know I care about their performance and it is important to me. But on the flip side I know I have to do this ‘compensate’ for the choice of drills I like to use. More on this below. I have had a lot of chats with coaches over the years about implicit vs explicit coaching. Anyone who has studied the motor learning literature can tell you that explicit instructional coaching works better in the short term- children move better in the drills. But longer term and in more chaotic environments the children who were ‘over coached’ tend to struggle to move well. Because I am more explicit it means I like to coach within closed drills that slowly open up into more chaos. It allows me to instruct and correct more easily. Other coaches would try and coach within the chaos as the norm using conditioned games and competitions- and let the athlete have more opportunity to self organise and auto correct through trial and error. Because I am more inclined to close skills down into their component parts it ‘could’ be less fun and engaging for the children. But I compensate with loads of energy and enthusiasm for the drills and I give the children feedback on how well they are performing the tasks we are doing. Without the energy and the input from the coach the drills would be too boring. And that was the inspirational for the ‘Fun Games for Kids’ syllabus. We always play games at the beginning and end of sessions any way. The games in the Ebook I created are categorised so that coaches can use the most appropriate type of game to test/challenge a particular type of speed or coordination. The Ebook gives my less experienced coaches some ‘Games’ to use as an evaluation tool and to compliment the ‘skill development’ drills I like the children to practice to learn the correct technique. You could say it is a crutch to help them create a more inspirational learning environment by appealing to our natural desire to play! I will always advocate certain skill development drills to instil the proper mechanics but these days I will get to the chaos sooner and make it a bigger part of the learning than in the past. I also wrote the Ebook for me- to challenge my ability to teach/train skills through more chaos. To test myself to see if I can refine technique in more chaos rather than always making it easy for myself. I have noticed that mistakes are more visible in chaos- movements that aren’t repeated over and over- don’t look as good as if I just drill them on the same thing ten times in a row. But over time they can make little corrections. Longer term they will be able to manage themselves better in the chaos. So let’s look at some of the other ways to inspire the children beyond just playing games and the drills themselves. What about the delivery style and communication? There are different ways to do this. My style is through my own high energy but you can convey passion in different ways- it’s about getting your athlete or group to be engaged in what you are saying to them/showing them. They have to feel something from your words or actions. Energy will only get you so far if you can’t channel it and control it- especially with children, and especially if you are using some of the games in the Ebook. You need to have a presence. It doesn’t mean you have to be a big scary person. It’s about Respect. One of the best things you can do with groups is set rules/expectations of behaviour/routines and BE CONSISTENT with these and any consequences for non compliance! To get your athletes to focus it is important to set the scene with the what-why-how. I want my coaches to do this with the Games as well so the children can at least think a little bit about why they are playing a particular game and how they can perform to have more success at it. I personally default to closed drills as I said before. But one of the reasons I hold the attention of the children is that I am VERY CLEAR with the teaching points and know exactly what I am looking for. I expect the children to respond to the challenges I set them. Even though the drills are closed at times- I have clear expectations of how I want them to do it and I think the children engage in this challenge of getting the process correct! 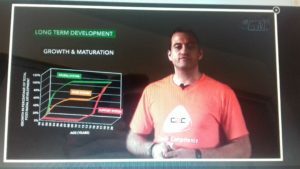 Take a look at my summary of the multiskillZ curriculum I wrote. I recently bought this product and you can see the review in a previous blog. In terms of setting the scene it’s a lot easier to get buy in when you’re having fun!!!! That was one of my motivations to get the multiskillZ product because I wanted to get some new ideas for fun skills and drills! But it’s also because I want to challenge myself to set up the environment differently! One of the the things I really enjoyed reading about was the information on Session structure, how to start and end the session, and all their thoughts on periodiation. Having Fun • Competition is good as there are natural in built outcomes because of the score line • But you can still create attention on the task by setting expectations for behaviour/performance level • Tell them exactly what you are looking for and give feedback on their performance. Children need to be stimulated and in my opinion it is possible to give them a session which is as fun as their favourite sport. You just need to think about what children like about playing sport playing a computer game. Can you challenge them and make them compete to achieve a task that they want to complete!!!! The fact remains that some coaches may have more talent for ‘communication’. They may be more at ease in front of people and have more natural presence. By everyone can be a better coach. I just have to decide whether they can improve quick enough and to a level high enough to work for APA!!! Want to come and work for APA? 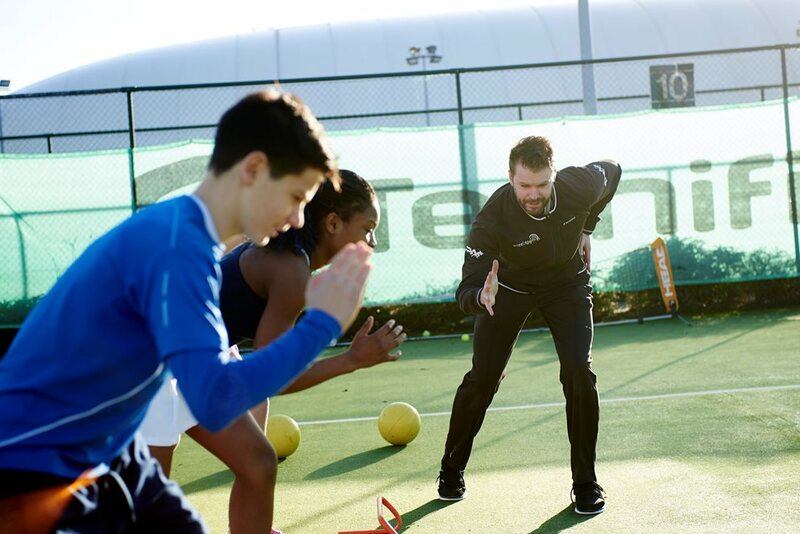 APA are recruiting for a part-time strength & conditioning coach at Gosling Tennis Academy. The role at Gosling starts immediately and would ideally suit someone who is looking to gain valuable experience in a high performance environment. We welcome applications from all candidates. It is not essential that you are available to coach every day to be considered for the role although it is preferable if you can make yourself available every weekday. http://athleticperformanceacademy.co.uk/wp-content/uploads/2018/02/Gosling-Logo-250x219.png 219 250 dazdrake http://athleticperformanceacademy.co.uk/wp-content/uploads/2015/05/APA-Logo1-300x156.jpg dazdrake2018-02-19 20:30:292018-02-20 20:34:09Want to come and work for APA? Hey everyone. I’ve been doing a bit of self-directed Continued Professional Development (CPD) over the last few days. I decided to purchase the ”Multi Skillz” online video library, produced by Coach2Competence. It cost £266 or 299 Euros for the first year subscription and £35 per year thereafter. 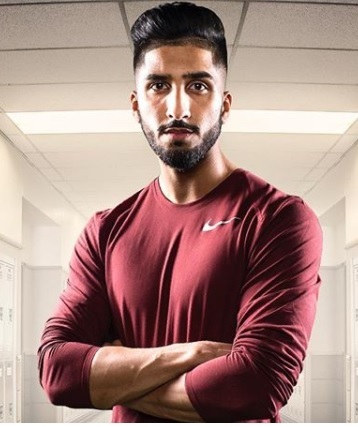 Kenneth Bastiaens is currently the director and owner of Coach2Competence, a company aimed at developing athletic foundations for young athletes. In 2000 Kenneth was Head of Strength & Conditioning at the High Performance Centre in Belgium. For 9 years he trained athletes such as Kirsten Flipkens, Yanina Wickmayer, Alison Van Uytvanck and Ruben Bemelmans whilst also developing new conditioning pathways. 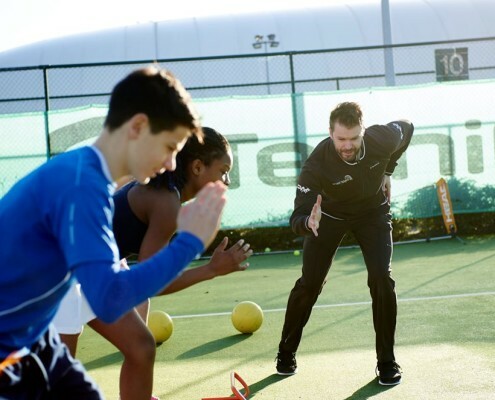 In 2010 Kenneth reformed the Talent ID & Development 12 & under structures for Flemish Tennis. At the highest level, Kenneth was consultant in the coach-player team of Kim Clijsters and travelled on the ATP Tour as a coach for 1 year. With a Masters degree in Kinesiology he is now the driving force behind Multi SkillZ, high quality motor development For Sports, Fun & Success. Kenneth has been strongly involved in Coach Education as a tutor, content manager, speaker and lecturer. ”Motor skills, ”athletic skills” or ”physical competency” or any other word you want to call it is really important. It’s the foundations of movements on which we build sport specific skills. During youth we have to challenge the nervous system as much as possible to be able to solve complex movement puzzles. I’ve always been interested in motor skills training and I consider it to be one of the things APA do really well. But I’m always looking to learn some new ideas and over the years my quest for knowledge has taken me around the globe. I first came across Kelvin Giles at the UKSCA Strength & Conditioning Conference around 2007 and later in his consultancy role for the Lawn Tennis Association. 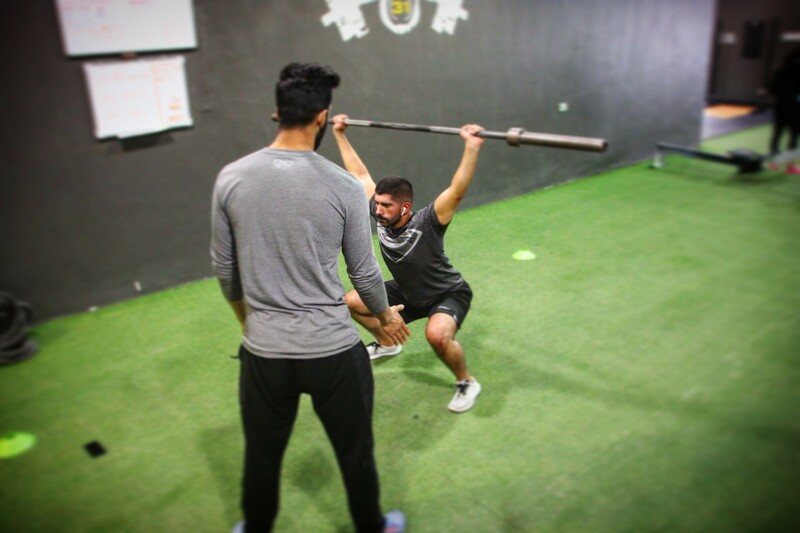 He helped me to understand how to quantify the quality of fundamental movements that have more of a strength focus- squat, lunge, push, pull, brace, rotate etc. I studied some more material from SportsCoachUK ”An Introduction to the Fundamentals of Movement” which was a great CDrom on Balance, Coordination, Agility. 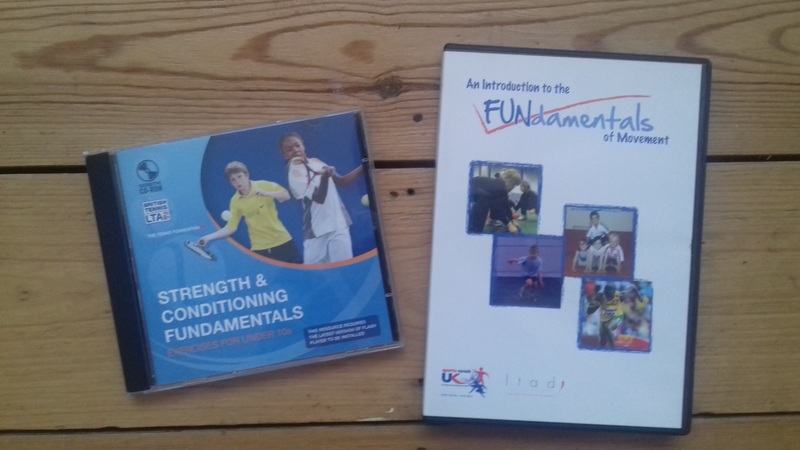 I also watched the Lawn Tennis Association CD-rom ”Strength & Conditioning Fundamentals- Exercises for under 10s.” It broke fundamental movements down into speed, agility, coordination, strength, power, injury prevention and flexibility. 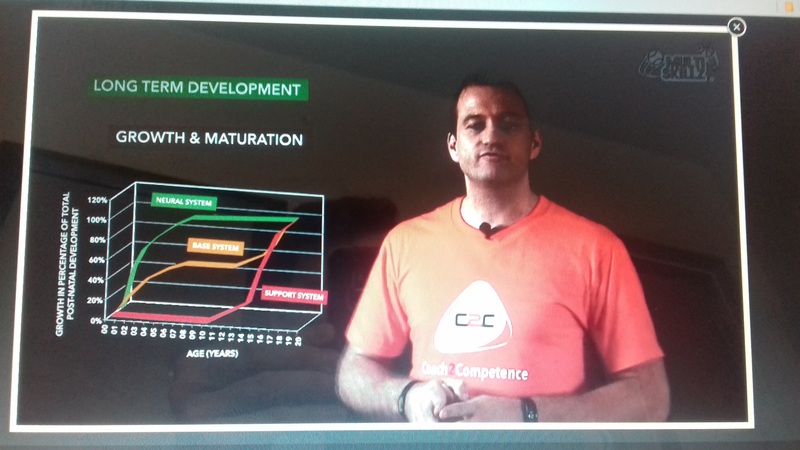 I came across Ruben Neyens at the Lawn Tennis Association National Coaches Conference in 2015- who did a great presentation on ABCs for children and then the following year Kenneth Bastiaens presented on ”Multi skillZ- motor development for success in sports”. 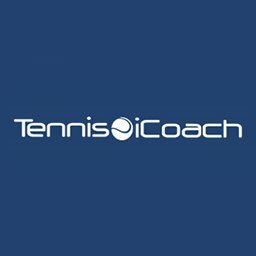 You can only open the link if you are a member of tennis iCoach- but I’d recommend it especially if you work on Tennis as it’s only $30 per year. So I kept my eyes on these guys and figured that Belgium tennis is leading the way in motor development for children. That lead to me purchasing the Multi SkillZ video library so I can inject some new ideas into my coaching. DELIBERATE PLAY- MAKE CHILDREN FOND OF MOVING. It doesn’t just have to be competition based games!! Tasks on your own- Getting dizzy putting finger on floor and running around! They need to feel competent and feel joy at the same time. They want to do things they enjoy! The goal is NOT to improve certain movement patterns or movement techniques. We emphasis motor abilities referred to as the sub factors of the different development domains. We do not stick to specific drills or exercises. On the contrary we would like to expose the children to continuously changing situations and movement tasks. In this way we believe we accelerate motor learning and motor abilities. There are separate drills for Fitness, Skills, Function and Speed. Each drill challenges the participant’s motor ability, problem solving behaviour and cognitive skills. The interactive nature of the fun play exercises enables participants to learn social skills and core values such as trust, creativity and cooperation. The main components above are further subdivided into four sub-categories per motor ability. So you get 16 components all together. For each sub category there are at least three drills- each drill has red, orange and green version. For each colour- red, orange or green there are also usually three levels of difficulty so there is plenty of differentiation to accommodate the different abilities not only across colours but within colours!! At APA we use the 5 S’s of fitness to classify the fitness components (Skill, Suppleness, Strength, Speed, Stamina) but regardless of how you categorise things I can definitely say there is plenty of new concepts I took away. The concept of the i5- approved drills is something I really liked. I have to say that I was impressed how literally EVERY drill ticked all those boxes. Literally every child had a job/instruction to follow in every drill even when they weren’t the one performing the task. In addition to the video library there are 22 online tutorials that cover some really important topics such as motivation, working with parents, periodisation, and long term athlete development. Kenneth talking about Long-term Athlete Development. There are loads of products out there but for me this is one of the best ones out there. 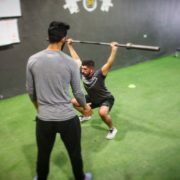 If you’re someone who wants to know more about the specific ‘techniques’ of movement and how to coach the specifics of squats and press ups and running technique etc this might not be for you. The authors of this product want the learning to be as implicit as possible. So apart from the demos where the coach role models good technique it is pretty much move and play throughout. I come from a very technical background so I’m actually looking for a resource that will encourage me to use more play activities and less technical instruction. If you’re looking for something similar then this is the one for you. What can Personal trainers learn from working with kids? This year I have been fortunate to have a number of coaches assisting in various roles within APA. One coach in particular Shay Khan, had a fantastic opportunity to go to Kuwait for two months, which came having just completed one month working at Gosling Tennis Academy with the junior academy squads. I wanted to ask Shay what he learnt from his experiences and what were the things he took from APA that he was able to use in Kuwait. Transitioning from Youth to Adult Strength and Conditioning. I had the fortunate opportunity to work abroad (Kuwait) as a Strength and Conditioning (S&C) coach for MMA (Kickboxers, Muay Thai, Brazilian Jiu Jitsu and Karate) Athletes for two months. 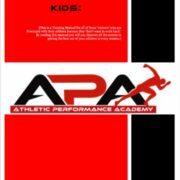 Prior to taking up this opportunity abroad I was currently working under APA at Gosling Tennis Academy as an S&C coach for younger athletes. What aspects of the APA system were you able to apply to the role in Kuwait? Transitioning into the adult population in a different country was not only a challenge due to potential language barriers I was going to face but also coaching athletes who participate in a different sport to tennis. One of the things I took away from the Tennis Academy was the 20:20:20 split of skill, speed and strength which I thoroughly used in the youth strength and conditioning classes in Kuwait. So for a 60 minute session there would be a 20 minute focus in each fitness component. I found that the split allows a variation of exercises to be used but also to keep the sessions fun and not repetitive. Moreover, as there was s&c support already there in place I was in a position where I could challenge myself in those two months to make a change with an athlete that joined as I got there, which allowed me to carry out testing / analysis and making a programme for someone who never previously had strength and conditioning. From gaining experience in the tennis academy I could transfer what I had learnt into this new environment. For example, in the tennis academy we carried out a Physical Competency Assessment (PCA) which I also used in Kuwait. I found that really working on the basics at Gosling Tennis Academy such as a simple overhead squat or a single leg hop creates a brilliant foundation for correct movement qualities which can then be transferred as the individual progresses (age) onto a higher level. One thing I’d take back home from my experience? Working abroad has allowed me to independently use my experience and knowledge that I’ve gained in the past to work autonomously. One thing I’d take away from my experience and use in future coaching settings would be to challenge myself but also not to be afraid to try something new whether that be in programming / testing / analysing but also coaching outside of my comfort zone. 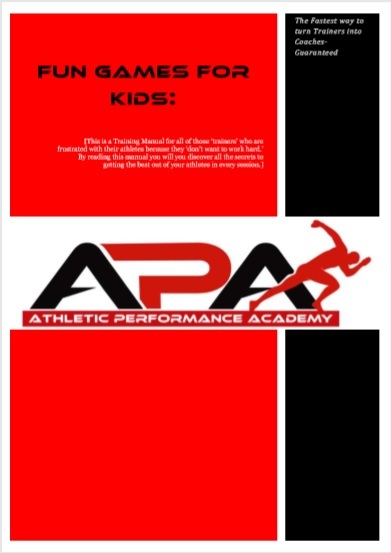 http://athleticperformanceacademy.co.uk/wp-content/uploads/2018/02/kuwait.jpg 2304 3456 dazdrake http://athleticperformanceacademy.co.uk/wp-content/uploads/2015/05/APA-Logo1-300x156.jpg dazdrake2018-02-07 20:19:532018-02-20 20:24:57What can Personal trainers learn from working with kids?